A novel composite film, Bi2WO6/MIL-53(Al)/PVDF, was successfully fabricated through a hydrothermal process combined with immersion phase inversion method and characterized by XRD, SEM, XPS, FTIR and UV–vis DRS techniques. 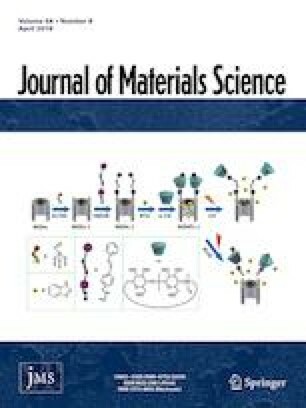 The photocatalytic activity of the as-synthesized composite film was investigated through the degradation of dyes Rhodamine B (RhB), Methylene Blue and Malachite Green in water under visible-light irradiation. And the composite film prepared at the ratio of 6 wt% of 1.25-BWO/MIL (with optimal ratio of Bi2WO6 to MIL-53(Al)) to poly(vinylidene fluoride) (PVDF) casting solution showed the highest photocatalytic activity. A 95.3% photocatalytic degradation of RhB was achieved at 1.6 dm2/L of 6-BWO/MIL/PVDF dosage and 10 mg/L of initial RhB concentration. The increased photocatalyst dosage, optimal initial RhB concentration and weak acidity should be responsible for the increased photocatalytic activity. The photocatalytic degradation mechanism was investigated by quenching tests, revealing that the predominant reactive species in the “BWO/MIL/PVDF-RhBaq-visible light” system were h+, O 2 −· and ·OH. The formation of heterojunction structure between Bi2WO6 and MIL-53(Al) improved the photocatalytic activity. Moreover, the recycling test of 6-BWO/MIL/PVDF composite film displayed its excellent reusability up to 15 cycles. The polymer coupling was demonstrated to be one of the valuable immobilization methods for powder photocatalysts. The online version of this article ( https://doi.org/10.1007/s10853-018-03302-w) contains supplementary material, which is available to authorized users. This investigation was supported by the National Key Research and Development Program of China (no. 2016YFB0700504). The characterization of prepared samples was supported by the Analytical and Testing Center of Shanghai University, Shanghai, China. All authors declare that they do not have conflicts to interests.